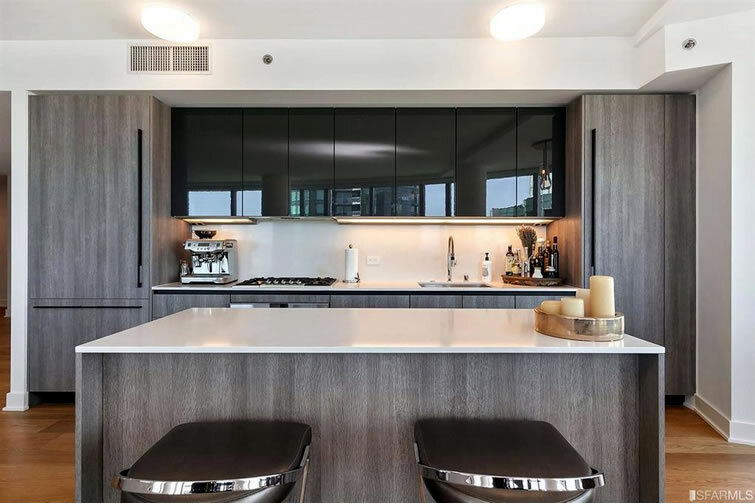 Purchased from Lumina’s sales office for $3,149,500 or $2,003 per square foot in June of last year, the 1,572-square-foot, two-bedroom unit #D35A, which is now described as the “highest and largest” two-bedroom with two baths in the development’s tower D, returned to the market listed for $3,449,000 this past March. 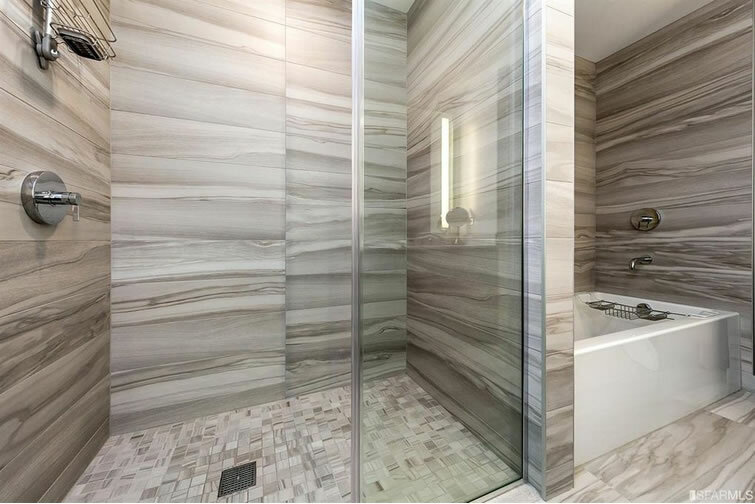 Reduced to $3,199,000 and then to $2,995,000 in May, 338 Main Street #D35A has just been relisted anew for $2,900,000 and with an official “1” day on the market according to all MLS-based stats. At the same time, the list price for 338 Main Street #D20H has just been reduced to $1,195,000, which is roughly 13.1 percent or $180,000 less than the $1,375,000 which was paid for the one-bedroom Lumina condo with skyline views and “an ideal 854 [square feet] of living space” in March of 2016. 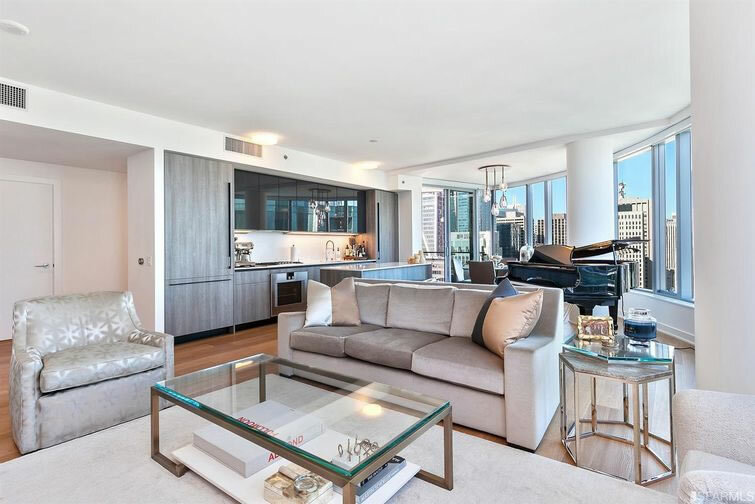 The “coveted 20th-floor” unit has been on the market since March of this year but was listed anew for $1,225,000 last month. the per square foot pricing at this development seem wildly high, not to mention the drastically high HOA’s. Yeah. I mean this is dipping in price with the rest of the condo market in the city. Nothing new here. Is this another building that was constructed on a slab foundation resting on friction piles not driven to bedrock? Could that have anything to do with buyer reticence? It’s built on a slab resting on bedrock, according to the chron. I thought it was built on special visas to Chinese investors. It is my understanding that only 338 Main (the shorter tower) is built on a slab resting half on bedrock (they had to inject concrete into the other half). The 42 story tower at Lumina, from my understanding, is not built on bedrock. The new 400′ 160 Folsom tower is not going to be built on bedrock either, from my understanding. 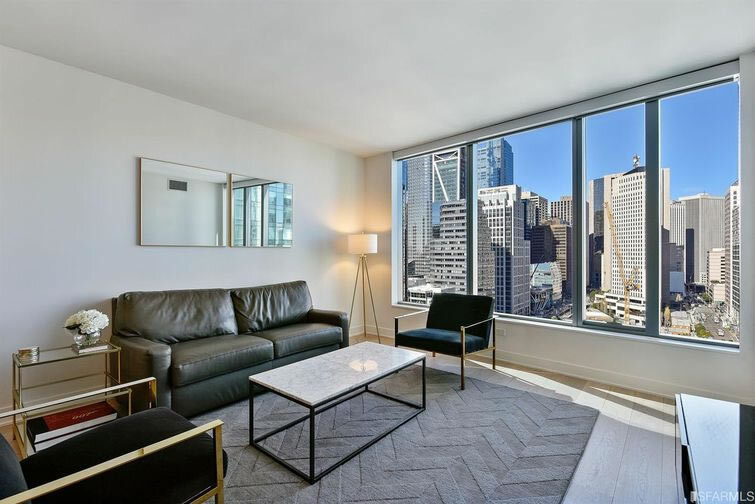 The Infinity is the only Tishman Speyer condo complex that is completely built on bedrock out of the three projects (Lumina, 160 Folsom/Bay Tower, and Infinity). Technically the buildings have to be built to code which means that in theory they should perform well in a seismic event. For me personally, I would much prefer to live in a building built on bedrock. Ideally, the piles would go INTO bedrock. Infinity is NOT built on bedrock but on piles driven into the bedrock. Much rather be in either a shorter safer building or on bedrock. Science says we are overdue for another big earthquake in SF. Science also says that shorter is not necessarily safer in an earthquake. It depends on how it is built. These Lumina units seem to be down more than newer condo market generally. Even the Mark company’s numbers report less of a loss than these units – down 13%, 10% and 8% – give or take. My impression is that newer units are flat or down a bit. Something “special” may be going on with this building. Fear of a potential foundation issue, units purchased out of irrational exuberance with buyers paying more than they should have expecting a big quick gain, HOA too high? Or something as simple as buying a very pricey condo unit, with all the expense that entails, and turning around and selling it less than two years later – foolish move unless there is an extenuating reason for the quick sale. Current buyers seem aware that the huge appreciation days are over and are not willing to overbid as easily as they once did. A wise thing and one that will put down pressure on condo prices in towers for a while to come. More and more potential buyers are getting it that these prices are simply outrageous – especially when when one looks at other areas. At one time, when SF was leading appreciation, price made no difference even for so/so units such as this. 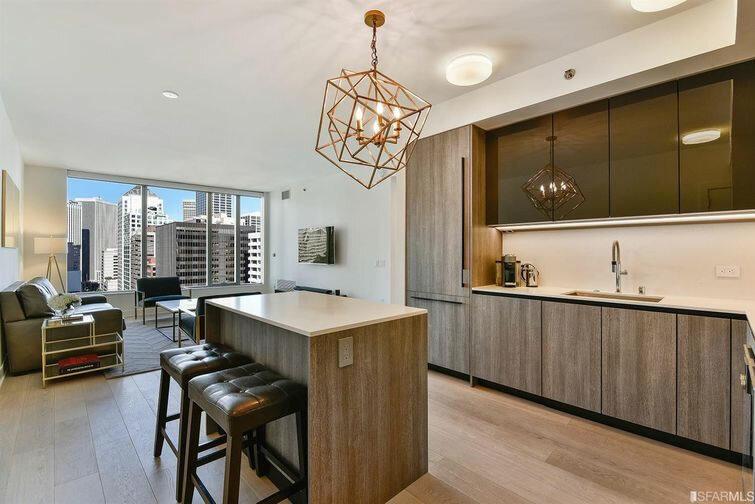 A condo in the KOIN tower, for now the 3rd tallest, goes for is 800K – up almost 10% from a year ago but still “cheap”. 2000 square feet, spectacular views of the West Hills, downtown skyline and Mt. Hood/the Cascades, with light rail and bus stops immediately at the base of the tower. One other thing about SOMA is the absence of much street life on weekends as well as the lack of any kind of neighborhood feel. The KOIN tower stands in the middle of a vibrant shopping district, is surrounded by many parks and is near the center of an emerging live theatre/performance/artsy district. The KOIN tower – also known as the King Kong tower – is a 36 story office/condo complex in downtown Portland with spectacular views that surpass anything in the Lumina towers. Built in 1985, it’s striking and engaging design has well stood the test of time. It’s a far more stunning building than either of the 2 year old Lumina towers. It’s one of many such examples with the point being that millennials moving up in their career who plan on being here for just 5 or 6 years would be better served to rent and save their shekels and put the money towards a truly impressive home in the NW, LA or Austin. Wherever their career leads them. Apple, BTW, is adding more workforce in Austin than it is in the Bay Area. I’ve been in the Lumina and the KOIN. The KOIN units are larger, have wains coating and tiered interior ceilings, huge fireplaces and much more. Closer to luxury than the Lumina for sure. Not allowed to post a link, but do a google on Portland, KOIN and tower if you want to see images. Ok, call me crazy, but at least from the outside, I like Lumina better. Yeah, the Lumina is no masterpiece but… Different strokes and all that but to call the KOIN building “striking”, “engaging” and “stunning”? Its a pretty bland piece of architecture. Maybe it looks better from the inside. 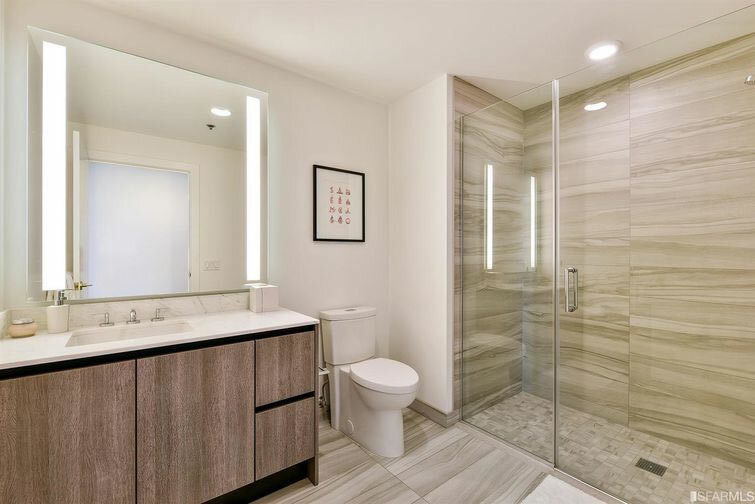 Most of us, who own condos in SOMA would love to live in the Lumina area of Rincon Hill/South Beach, rather than the rest of SOMA, and it’s for one main reason: It’s not covered in feces and homeless people. I could care less about the ‘street life’ in general. In fact, it’s nice to have less people around.. it’s more peaceful. Market Street and Embarcadero has plenty of street life if you want it. Most people don’t want to live around the craziness of it, but adjacent to it. The prices are dipping a bit more than normal for two reasons. 1) They were a bit over priced. People priced them at far too expensive to begin with. 2) There are simply too many units in that building competing with each other. If they were overpriced, then why did people buy them at that price? Typically when something is overpriced, the price must be reduced to find a willing buyer. I asked my neighbor (a very solid realtor) what was going on. 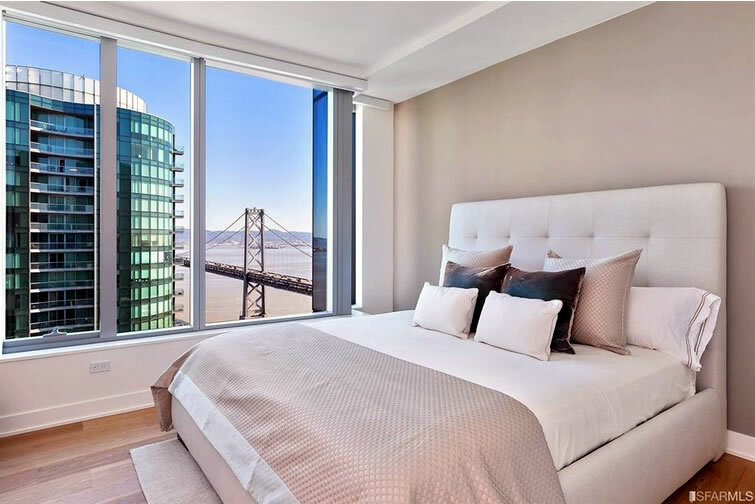 He said that, by far, the main difference is that the foreign buyers are not really in the SF condo game anymore. They were big players when Lumina started selling, but no longer. When prices are going up, every sale is a data point of price discovery, justifying further increases. When prices are going down, it’s because the prices were overpriced to begin with. I’ve lived in South Beach near the new Lumina for 17 years. It gets homeless people, feces, urine (often dog urine) and needles, too. Reeks when it’s warm out. Portland’s average income is roughly half San Francisco’s average income…$800k means something different there than it does here. Median household income for SF is 88K, for Portland is 63K. Sounds right–I said average, as in “mean.” Debatable which is the more relevant metric. I think mean may be because we are dealing with units well above the median affordable price anyway. But however you slice it, the income differences are enormous. Maybe SF will become like Venice, Italy after all. There are many top tier cities with at least comparable to or far in excess of the quality found in SF’s condo towers. The problem with this is that Venice has essential zero industry except for tourism. Apparently SS will never tire of pointing out sales prices of individual units. The movement of indexes is imperfect but valuable. Any individual price is worthless. Why is this index worthless? For some strange reason, ever since said index turned negative (the inflection point for which we foreshadowed at the end of 2015) its worth has been called into questioned (and more so with every subsequent drop). But in the context of the units above, the index, which hit a 3-year low in June, is down around 15 percent from the second quarter of 2016 to today. I’d say they are imperfect but at least an index has value. An individual sale is worthless. A unit like this will probably be renting for $7700 for the next few years. If someone can buy it for $1.7M, the HOA will run about $1000, the interest (on 1.3M) at 3.8% will run $4100, property taxes will run $1700 and you need to allocate $200 per month to update carpet, flooring, appliances etc. Foregone interest at 2% on your downpayment of $400K will run $667. So no investors will appear until it hits $1.7M and any buyer is going to find it’s cheaper to rent than pay all those costs I listed above, multiplied by another 70% (except the HOA). Who would pay this price? Investors who might appear at 1.7M are not doing their due diligence. The ROI would be around zero (and you didn’t add in management costs so your assuming the owner will mange the rental) at a time when rents could be flat for years and appreciation small. Tracking the national average. There are many robust markets where one can get 6% – 9% ROI and some of those markets are set for large appreciation over the coming decade. Dave, what are some good high risk, high reward cities in your opinion? What’s your stance on Reno? Reno is IMO a good bet in terms of second tier cities – huge job and population growth expected and a dearth of housing right now. If Tesla decides to start building its cars there all bets are off. The problem in Reno is that there are not enough lots that are “shovel ready”. That will change in the next few years. I don’t see Reno as high risk, but real estate is always a risk. SF and the Bay Area are higher risks in terms of investing – as opposed to owner occupied. The problem with SF s that there is no ROI and investors should always demand that – and not settle for negative flow in anticipation of huge appreciation over a short term. Real estate in SF became totally commoditized which is a shame. Now that appreciation will track the nation as a whole, SF will not be a good place for RE investment. However, as things settle down in the SF RE market, especially residential, and RE becomes less commoditized and more affordable that will be good for SF. following this thread. SF Bay Area makes little sense to me investment wise. I’ve been looking into smaller multi-units in Reno. I think Reno is a bet on Tesla’s future. The TRIC industrial center will be one of the largest in the world. The Switch project will provide a seamless connection between Reno and LA and the Silicon Valley. The idea being to have more companies add engineers to their Reno outposts. The Bay Area will be a laggard in growth for the next few decades compared to Seattle, Portland, Austin, Houston, Atlanta, Phoenix and more. These other metros will add more jobs (on a percentage basis) and that makes for a lot of potential investment options. Follow the jobs, follow the population growth and follow the millenials. Some projections have Seattle adding more people than not just the SF/Oakland MSA, but the combined SF/Oak and SJ MSAs. I wonder what the traffic is like esp around rush hour with bridge traffic. There are nearby condos I stare at while stuck in the rare occasion I have to cross the bridge thinking how awful it would be to live there (and be always stuck in traffic) no matter how nice the interior/view is. Think of what happens when the Chase Center opens and the TI project adds around 4K units of housing on the island. Anyone who lives in the area and drives during rush hours are crazy. For those who work in the downtown area, much better to walk or bike. Of course, to quote a classic marketing pitch: “If you lived here you’d already be home” (rather than stuck in traffic and ruminating in a car below). Traffic can be awful if you have to go in the direction of people getting on the bridge, especially if there is a night game at AT&T. Thank god the Chase Center got moved away from Piers 30-32. Embarcadero can be pretty slow any time of day going south and becomes bumper-to-bumper when a cruise ship is in because the right lane gets blocked at Pier 27. Otherwise traffic isn’t too bad. And I should add that I walk or take Muni/BART most of the time anyhow – it’s not unusual to use the car only once or twice a week. I always wondered how privacy works in these high-rise condos. As I see it there are three options: Keep your blinds closed and nobody sees in. Keep your blinds open and people can see in but you’re a person who doesn’t care. Or, keep your blinds open but the glare and angle of the window prevents people from seeing in. Can anybody relate their experience? i think a 4th reasonable option is to keep them partially open/closed, to where you have sufficient brightness (it’s plenty light even if the whole wall is not fully exposed), but the view into your unit is obscured enough that people can’t really see what you’re doing. I lived in NYC for 10 years and I’d imagine it’s similar – just big city living. If people want to spy on us doing boring everyday stuff with binoculars that’s their problem. We just didn’t go around the condo in our underwear or less and if we happen to be compromised we just need to be strategic about curtains/blinds or the angles where you’re getting dressed or getting it on! 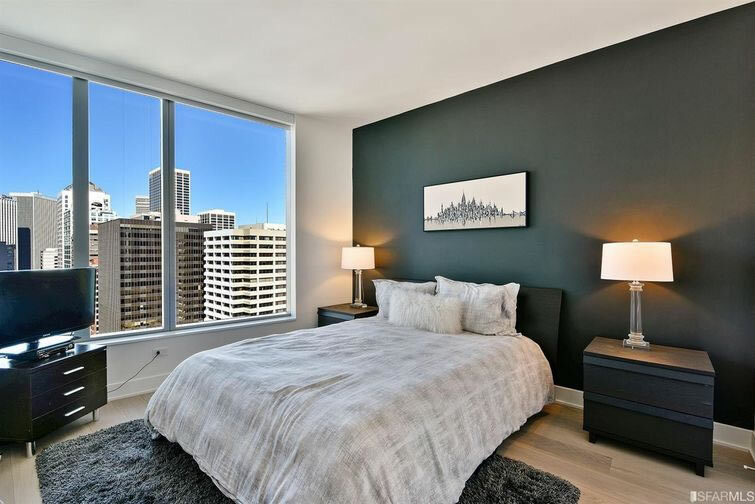 2000 Ellis St #206, sold for $815,000 in April 2016, and just sold again for $880,000 (up 8%). $1187/sf at Ellis and Divisadero . . .
1875 Mission St #211, sold for $775,000 in Feb. 2015, and just sold again for $832,020 (up 7.4%). Anecdotes really don’t present much of the story, particularly if you pre-select those that only give one view. Again, anyone looking for meaningful discounts off the 2014 or 2015 or 2016 pricing is going to be sorely disappointed. Whether SF is a good buy for investors right now or not, places are selling at pretty much peak pricing, or pretty close to it as a most conservative reading. It’s always good to use anecdotes when arguing that anecdotes don’t matter, especially ones which aren’t in either the neighborhood or segment at hand. And of course, arguing that “anyone looking for meaningful discounts off…2016 pricing is going to be sorely disappointed” is an interesting approach considering the actual listings above (and a growing list of others from which to choose). There’s something strange about that 2000 Ellis street sale. It sold in 2013 and then sold in 2016 up 3.3 percent per year. I’m pretty sure the market went up much more than 3.3 percent during that time period. Case shiller is up about 50% and it rose about 10%? I don’t think we got all the information out of that sale. If I take the 2013 price and multiply by the rise of case shiller to figure out where $880K is, I get a difference of $130K/$749 or an increase of 17%, which puts its most recent sale at its 2014 price, consistent with the other large drops we’ve seen on here. anon i don’t get the impression that the purpose of these articles is to “present the whole story” (of SF real estate). i think we all understand that the whole market is not down 13.1% since one year ago, even if this particular unit is. these examples provide very valuable (and interesting) knowledge for prospective buyers or observers of new SOMA condos. When you have to perform logic gymnastics like this to argue that an 8% YOY increase is really a decline, you know you’ve lost your credibility. In 2009, the realtors were saying “no, prices in SF are as strong as ever!” and some are saying in 2017, “no, prices in SF have really fallen a lot” – both were/are reaching in kind of a silly way. Hardly gymnastics to question a 3.3% YOY increase each year from 2013 – 2016 when prices were growing far faster. Methinks you doth protest too much. 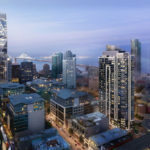 Going forward all of the Transbay/Rincon complex area seems as if it will appeal to just a small segment of the market. It’s a non-starter for investors. it’s a dubious purchase for shorter term residents. It is basically a set of citadels cut off from a non-existent street life. There is more street life in the Pearl at midnight on a Saturday than there is in the TTC area at noon on a Saturday. Mostly these are not appealing units with some exceptions. 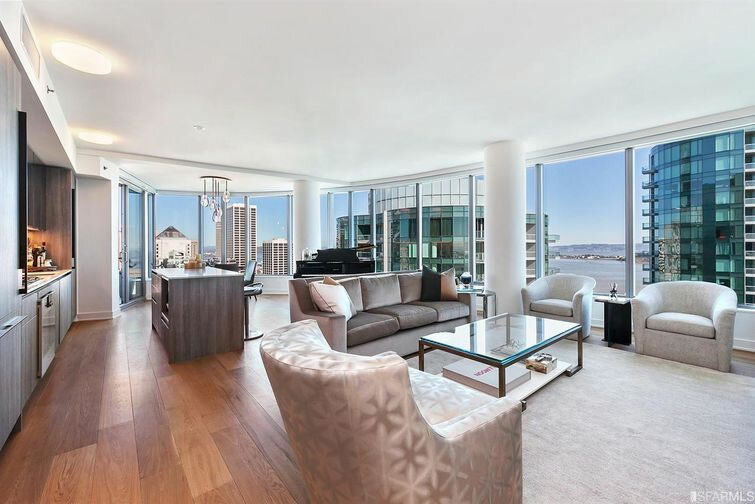 181 Fremont is supposedly truly luxury, but prices start at over 3 million I believe. These are places you sleep in during the week and get away from to Marin or Oakland/the East Bay and onto Tahoe on the weekends. That will become problematic once TI is built out. Even on weekends getting across the Bridge to head east will be a major, major chore. Many people probably won’t be willing to put up with that. The Parcel F project will be interesting to watch. Will they have to make the condo units truly luxury (and pricey) to attract buyers? Will the project possibly be scaled back? The investors paid a huge price for the land which in hindsight may prove not to have been a wise investment. Will the skinny 48 story condo complex envisioned for Howard continue to go forward? is there really a market for it in the next 5, 6, 7 years? The jobs within 1/2 mile of this area are not like the jobs in Portland. Until all the new units are sold in both towers at Lumina – resales will be challenging. The second tower is not yet sold out, so there is new product competing with resales. It is not smart to try to flip your purchase before the entire development is completed and all sold…When the current building surge in thie area is over, I think Lumina will hold or increase in value. Great location, great amenities etc. 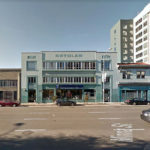 UPDATE: While having been on the market for over a year, unit #D20H at 338 Main Street has just been listed anew for the third time, now with an official “one” day on the market and an “original” list price of $1.25 million versus the $1.375 million which was paid for the one-bedroom unit with skyline views back in March of 2016. UPDATE: Having failed to sell when listed in 2017, 338 Main Street #D35A has just been listed anew with a $3.299 million price tag.